With a Forecast of Sea Level Rising 5-6 Feet Under “Business-as-Usual” Conditions, Media and Others Ought Ask Presidential Contenders What Steps the Country and Its People Ought Be Taking to Reduce this Major Threat to Humanity! The latest study in the prestigious Journal Nature predicts the world’s oceans will rise 5 or 6 feet by the end of this century without major changes to end fossil fuel burning – NOW! We are causing irreparable harm to the earth’s climate and its physical and biological systems – including warming and acidification of the oceans as well as rising sea levels – processes that have already begun and will not be possible to reverse even if humans stop burning fossil fuels today. 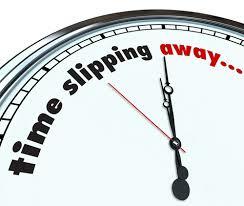 So all we can do is slow the rate of change and help those most likely to be affected to prepare for the worst. It’s the least we can do. The League of Conservation Voters has a continually updated report “In Own Words” on each remaining 2016 presidential candidates’ past statements on climate change . 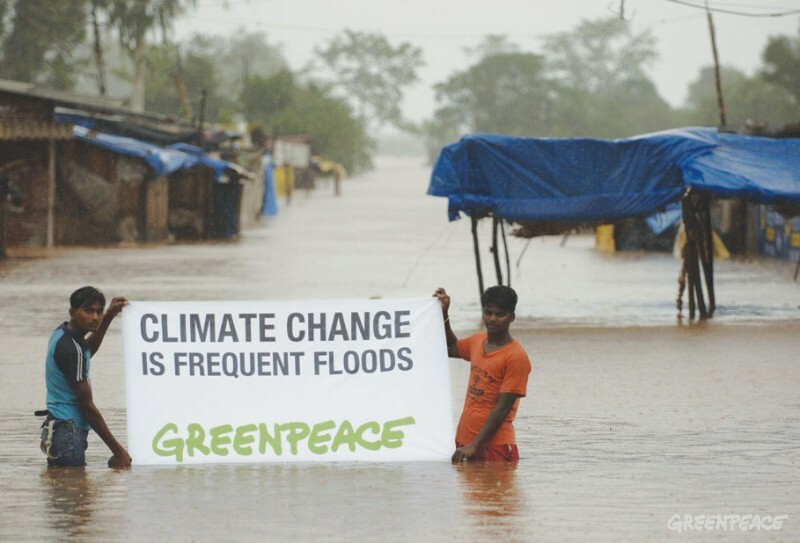 Non of the candidates statements reflect the study on sea level rise released last week. Gaylord Nelson*, the late Wisconsin governor and senator, would often confide to friends that if he were king he’d make it tough for big, smoke-belching manufacturing plants to locate in the state. To say that publicly wouldn’t have sat well with the state’s business gurus. Nelson would have been pilloried for having an anti-business attitude and holding back the state’s economy, but he firmly believed that Wisconsin was a unique place, a natural wonder that needed to be protected for eternity. And while the state never had a policy to keep big manufacturing plants out, it did develop laws to protect its natural beauty, adopting strong environmental safeguards for everything from the state’s towering northern forests to its thousands of blue-water lakes. Manufacturers were expected to follow those regulations and the Department of Natural Resources was charged with making sure they did. We didn’t want any Gary, Indianas, in our midst. 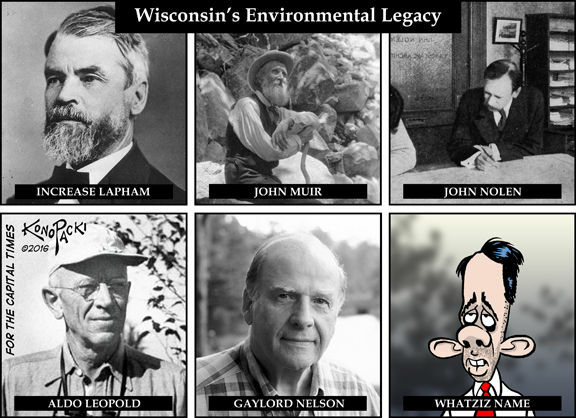 It wasn’t just Democrat Nelson who carried the torch to protect Wisconsin from potential polluters. A Republican named Warren Knowles did too. The two Wisconsin politicians grew up not too far from each other, Knowles in River Falls in Pierce County and Nelson in little Clear Lake in Polk County, about an hour’s drive to the north. They knew firsthand Wisconsin’s rushing rivers, its fresh and unpolluted air, its varied landscapes that beckoned folks to enjoy the great outdoors. It was their love of Wisconsin’s unspoiled beauty that resulted in the two of them pushing the state to buy land and preserve it for the people. The Knowles-Nelson Stewardship Program wound up protecting over a half-million acres for posterity and keeping Wisconsin as true to its natural roots as possible. The state became known for its environmental protections and was considered a model of how states could balance the interests of businesses, conservationists and environmentalists for the benefit of all. I am struck by how much that’s changed under Scott Walker’s tenure as Wisconsin’s governor. A recent story in the Wisconsin State Journal described how the current leadership of the DNR is hurriedly putting together a reorganization of the department that many fear will reduce the department’s ability to keep tabs on potential polluters. That is coming on top of several laws passed in the state Legislature’s most recent session that will harm our state’s waters. And that’s on top of a gradual reduction in DNR staff, including educators and foresters, and decimation of the department’s Science Bureau. And that’s still on top of the Walker administration’s directive to the DNR to sell off some of the land preserved by the Knowles-Nelson fund. In short, where just a few years ago the state’s environmental interests were on equal footing with those of businesses and developers, the playing field has been tilted in favor of the latter groups. Wisconsin is already starting to show scars. The proliferation of controversial megafarms called CAFOs (concentrated animal feeding operations) continues unabated around the state, often in areas where private wells and groundwater aquifers can be contaminated. In Kewaunee County, a high concentration of cows in CAFOs and the resulting liquid manure is suspected in the contamination of numerous residential wells. Other CAFOs have experienced devastating accidental spills of manure, the most recent in Grant County, where two miles of a pristine trout stream were poisoned. Yet the CAFOs seem to get routine approval. 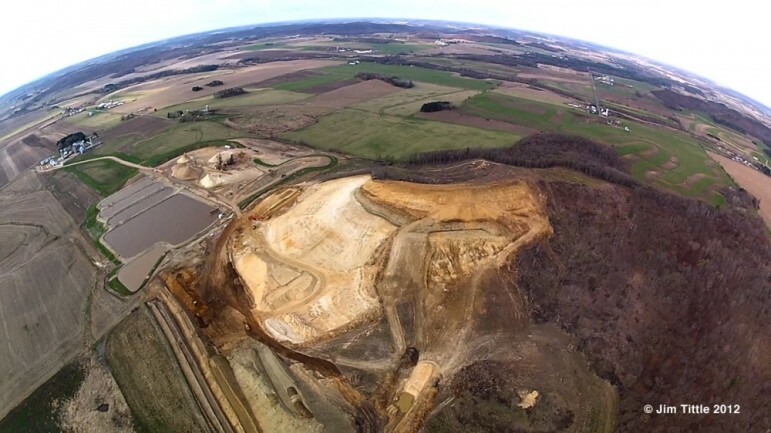 One proposed to be opened near the town of Saratoga in Wood County, complete with 5,300 cattle producing enough waste to equal that of a city of 106,000 people, is being fought relentlessly by the local people, but the fight may all be for naught. The DNR’s deputy secretary, Kurt Thiede, said the planned reorganization, which is targeted to occur as early as June 1, is aimed at taking best practices from other states. Arizona, Iowa and Tennessee were given as examples. There was a time when other states came to Wisconsin to learn about the best ways to protect their natural resources. Gaylord Nelson founded Earth Day, celebrated in the United States and around the world annually, on April 22, since 1970. His last book was “Beyond Earth Day: Fulfilling the Promise”. Aldo Leopold was a professor at the University of Wisconsin and is best known for his book “A Sand County Almanac” (1949), which has sold more than two million copies. Nonmetallic Mining Operations (Non-Industrial Sand and Other Aggregates), WPDES General Permit No. WI-A046515-6: This general permit covers nonmetallic mining operations defined under Standard Industrial Classification (SIC) Code 1400 to 1499, except SIC Code 1446 (Industrial Sand). Typical operations covered under this general permit include mining and processing of construction sand, gravel, stone, rock and other aggregate. Nonmetallic Mining Operations for Industrial Sand Mining and Processing, WPDES General Permit No. WI-B046515-6: This general permit covers nonmetallic mining operations defined under SIC Code 1446, Industrial Sand. WPDES General Permit Nos. WI-A046515-6 and WI-B046515-6 authorize and regulate discharges of storm water and process wastewater from operations whose primary income-producing activity is nonmetallic mining. The proposed general permits and fact sheet are available on the WPDES permits on public notice webpage. In late March and early April, the DNR will hold four public informational hearings on the proposed general permits. See the public notice for more details.